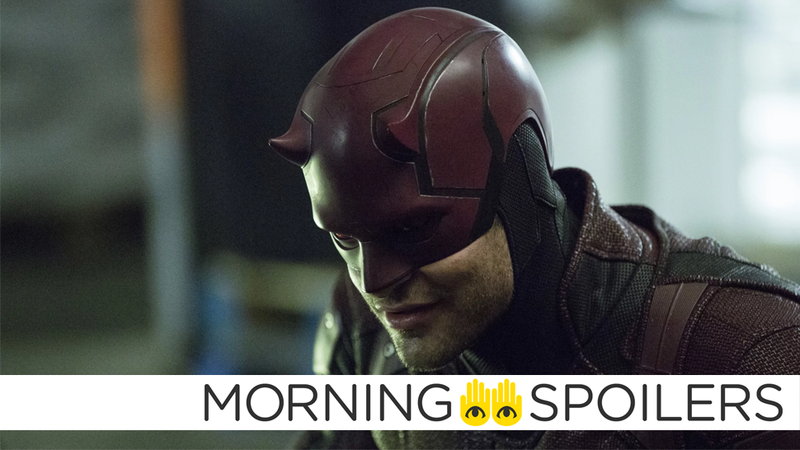 Matt could be facing a very familiar comics foe in Daredevil season 3. Woody Harrelson teases big plans for the future of his Venom character. Ron Howard really wants to make a Willow sequel. Rosario Dawson thinks her time in the Marvel universe is coming to an end. Deadly Class might be getting a new showrunner. Plus, casting rumors for Arrow and a new Disney animated movie, and behind-the-scenes on the Sense8 finale. Spoilers, away! Ron Howard confirmed he’s “seriously exploring” the possibility of a follow-up to Willow with Lucasfilm. JAN-NIN: Female lead character said to be the heroine of the film. Jamie Chung has shown interest in the role, Disney fans will know her as the voice of Go Go in Big Hero 6 and the brand new series on the Disney Channel . It’s going to be really fun. It’s a sort of a horror comedy. It felt like the right thing for Nick and I to have as our first collaboration with Stolen Picture. It’s about a private school in the U.K which sells off parts of its land to a fracking company, and the fracking company then unleashes a subterranean monster that terrorizes the school. It’s a big metaphor for the U.K privatizing things, and it’s mixed up with some ridiculous, sloppy horror. So it’s right up our street. Meanwhile, Jason Blum promises the Halloween trailer will see release “early” June. /Film has a gallery of international character posters — head over there to see the rest. Syfy has revealed the sixth and final Sharknado film’s title in a new teaser. Screen Rant reports a crew jacket posted to Instagram would seem to confirm Bullseye is indeed the new season’s primary antagonist. That Hashtag Show has casting calls for both Abby Arcane and Dr. Alec Holland. TV Line reports Alyson Hannigan has boarded the made-for-TV Kim Possible movie as Kim’s mom, Dr. Ann Possible. Connie Ray also joins as Nana Possible, Todd Stashwick (12 Monkeys, The Originals) has been cast as Dr. Drakken, Taylor Ortega will play Shego, Erika Tham is Kim’s frenemy, Bonnie, while Ciara Wilson plays Athena, a new student at Kim’s school. Next up, “Jessie Bowden” is described as the “Buffy Summers” of vigilante slayers. Finally, Konomi sounds like she’ll be one of the mythic Longbow Hunters teased in the season six finale. Half Japanese, half Caucasian somewhere and in her late 20s to early 30s, “Konomi” is a formidable fighter who ends ups clashing with the heroes of Star City. Her background consists of being a tactician in the military while also carrying on as a street fighter. In a recent interview with ScreenGeek, Rosario Dawson stated she “doesn’t know” whether she’ll return to the MCU after Luke Cage’s second season. I don’t know if I’ll be back after this, to be honest, but it’s been an amazing few years. I’ve been on a lot of different shows. I mean, I don’t know if maybe they do a third season of Luke Cage potentially, or maybe if they figure out some kind of way for me to be on The Punisher – just so I can feel like I’ve done every show. But it’s been like, my daughter is in high school, so I kinda wanna not be 3,000 miles away for work. I’m training, boxing, all of that. Pumping iron... You have to get yourself physically prepared to do the stunts, but also our schedule’s crazy. We work long hours, sometimes we work overnight. I found that when I start off in really good shape, I feel better and I can keep up with the schedule. Maybe we’ll get to see her be a bit of a hero, maybe we get to see her move forward in a more positive way. Maybe we see her hating herself less. KsiteTV has synopses for episode three, four, and five of Freeform’s Cloak & Dagger.